Scott from http://djokergaming.wordpress.com sent me some amazing pics of a Dutch Blue Guard unit he has done for the Boyne. 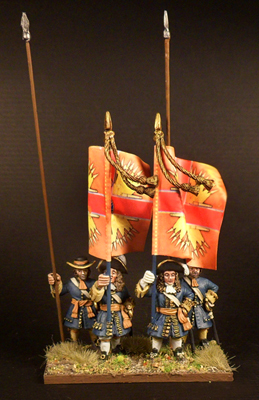 As you can see he has used some flags that i sent him for the Unit. I bloody love this guys paint style.